Successfully Added Exclusive GGMM App Wireless Intelligent WiFi + Bluetooth 4.0 Voice Control Speaker-black to your Shopping Cart. Expertly slim design with adjustable leather belt, lightweight and convenient to take out. Independent left/right sound channel with full frequency speakers and 2 bass passive radiators, provide powerful Hi-Fi sound. 300M high speed data transmitting and receiving with stable dual Wi-Fi signal. 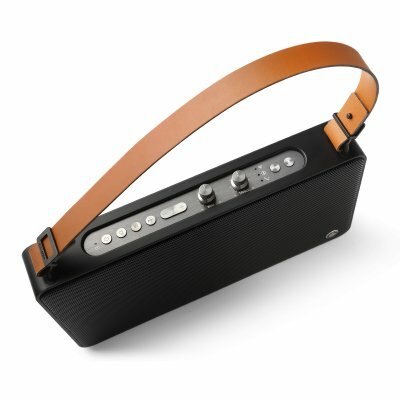 Built-in lithium battery provides up to 15 hours of continuous play, and 3 connection modes to stream music. Exclusive GGMM App, allow easy quick operation by guiding interface.